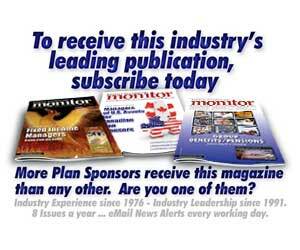 Benefits and Pensions Monitor makes no representations or warranties as to the availability, accuracy or completeness of any information contained herein and expressly disclaims any obligation to update said information. 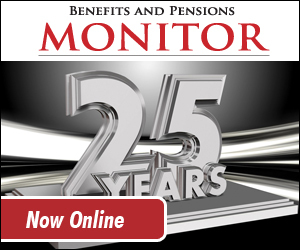 Benefits and Pensions Monitor further assumes no liability or responsibility for any errors or omissions in the content of this report. Contact us for a showcase profile listing. BFL CANADA CONSULTING SERVICES INC.
Group Benefit: DB Pension Plans, Administration Outsourcing, Benchmarking of administration cost and service levels of pension plans including best practices research. Investment: Performance Measurement, Benchmarking of investment cost, performance and risk of large pools of capital, including DB, DC and Sovereign Wealth Funds, as well as best practices research. Healthcare: Disability Management, Claims Management, Return To Work, Drug Cost Management, Employee Assistance Program, We partner with a variety of insurers to provide the best group benefit experience possible. GALLAGHER BENEFIT SERVICES CANADA (GROUP) INC.
GEORGE &AMP; BELL CONSULTING INC.
JAMES EVANS &AMP; ASSOCIATES (JEA) LTD.
LESNIEWSKI MOORE CONSULTING GROUP INC.
MANION WILKINS &AMP; ASSOCIATES LTD.
MORROW, CROSSDALE &AMP; ASSOCIATES INC.
MOSEY &AMP; MOSEY INSURANCE AGENCY LTD.
3 - Including Benchmark Decisions Ltd and Student Benefits Administrators Inc.
Other Offices: Operating in 30 offices and satellite offices in seven provinces across Canada, including a direct office presence in 8 Ontario locations, providing on-the-ground service in most urban centres in the province. STEVEN COHEN INSURANCE AGENCY INC.
STRATEGIC BENEFITS &AMP; INSURANCE SERVICES LTD.
6 - Approximately 60 staff in Toronto. Sustainalytics is a global firm with offices and representatives in 13 countries around the world. TRG GROUP BENEFITS &AMP; PENSIONS INC.